Author Bob Woodward says of his sources, "There's a lot of conscience and courage in this — people speaking up." "There were drafts of a proposal to get out of the Paris climate accord that were removed from the president's desk," Woodward says. "[There were] draft statements about withdrawing from the North American Free Trade Agreement — which would have been a disaster — and [former economic adviser Gary] Cohn just took it off the desk." Woodward says he was shocked by the lengths to which staff went to circumvent Trump: "I've never heard in any way of staff going around a president this way and taking the paperwork, taking the orders in order to stop the action." [Trump] is obsessed with the money. At a National Security Council meeting earlier this year, Jan. 19, this whole question comes up about money and the president says ... these are verbatim from a note taker there: "What do we get by maintaining a massive military presence in the North Korean Peninsula? What do we get from protecting Taiwan, say?" And this is when [Gen.] Mattis finally says, "We're doing this in order to prevent World War III." Then the president says, "We're losing so much money and trade with South Korea and China and others. I think we could be so rich if we weren't stupid. We're being played as suckers, especially NATO." On Secretary of Defense James Mattis and White House Chief of Staff John Kelly publicly denying having said things they are quoted as saying in Woodward's book. Look, Mattis has to survive. He's in a difficult position. But, as I've said, nothing's off the record, and in the first days, after parts of the book came out last week, one key person in office now called me up and said, "Everyone knows what you've written is true. It's 1,000 percent correct." Because that's somebody who knows that I worked hard on this and tried to dig in and excavate what the reality was. I am convinced that people need to wake up and not kind of pretend this is just politics or this is partisan. What's going on in the Trump administration — and I said this to the president when I called last month — I said, "We are at a pivot point in history." There's a lot of conscience and courage in this — people speaking up. And, yes, they're protecting themselves but, my God, who doesn't try to protect themselves? But they were willing to help me in this process. And I think it illuminates what's going on, and not in some kind of abstract way. Rob Porter, the staff secretary, said this was almost Nixonian. It entered the paranoid zone — Nixon, in his final days, pounding the carpet, talking to the pictures on the wall. And Trump just would not come down from that moment, and announced [to anyone listening] that he was the president of the United States: He could fire anyone. He could do anything. And it was very disconcerting to people who witnessed this. He realized then — he was right — that once you have a special counsel with this unlimited authority, essentially unlimited time, going after you, they're going to look under every rock. And that's exactly what Mueller has done and indicted Paul Manafort, indicted people at all kinds of levels, or got guilty pleas and so forth. It is what, in the FBI, they call the "full field." ... People are kidding themselves if they think it hasn't taken a dramatic emotional toll on the president. Sam Briger and Mooj Zadie produced and edited the audio of this interview. Bridget Bentz, Seth Kelley and Carol Ritchie adapted it for the Web. This is FRESH AIR. I'm Terry Gross. My guest, Bob Woodward, has just written his ninth book about a presidency. It's called "Fear: Trump In The White House." He ends the prologue by saying, quote, "the reality was that the United States in 2017 was tethered to the words and actions of an emotionally overwrought, mercurial and unpredictable leader. Members of his staff had joined to purposefully block some of what they believed were the president's most dangerous impulses. What follows is that story," unquote. The book ends in March of this year when Trump's lawyer John Dowd resigned after advising Trump not to testify to Robert Mueller because Trump would not be a good witness and would end up in an orange jumpsuit. Trump declined to take that advice, and Dowd left. Woodward says his book is drawn from hundreds of hours of interviews with firsthand participants and witnesses to these events. Nearly all those people allowed Woodward to tape-record the interviews, but they spoke on deep background, which means Woodward would not reveal who provided the information. 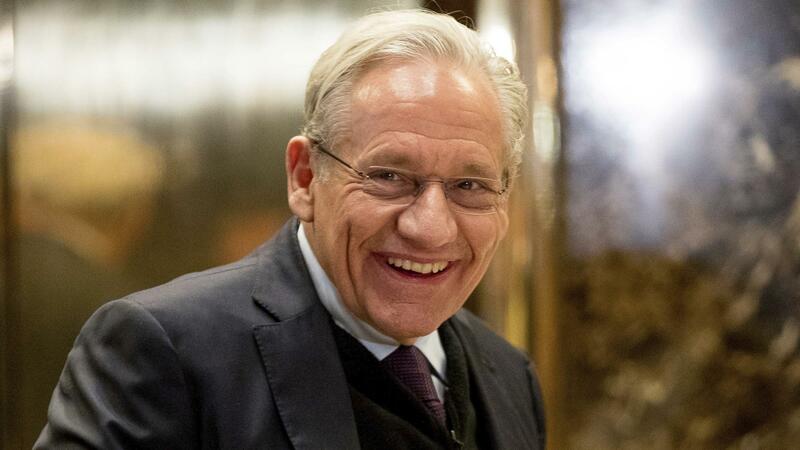 Woodward's name, along with Carl Bernstein's will always be associated with breaking the Watergate story, which led to President Nixon's resignation. Bernstein and Woodward co-wrote "All The President's Men." Bob Woodward, welcome to FRESH AIR. You were told by people who work closely with President Trump about his lack of knowledge, his lack of interest, his inability to absorb important information, his lack of understanding of the consequences of his actions. Former Secretary of State Rex Tillerson called the president a moron. Secretary of State James Mattis said Trump has the understanding of a fifth or sixth grader, although Mattis now denies he said it. John Kelly, White House chief of staff, said the president is unhinged. President Trump's lawyer John Dowd, who resigned, called the president a liar. Secretary of Defense Mattis and Trump's former economic adviser, Gary Cohn, who also resigned, had talks about what they called the big problem, which was that the president didn't understand the importance of allies overseas, the value of diplomacy or the relationship between the military, the economy, and intelligence partnerships with foreign governments. I could go on, but (laughter) - but I'll stop there. GROSS: What they told you is chilling. I mean, what they told you is that we have a president with so much power who can't be trusted and doesn't understand the consequences of his actions. Why aren't they speaking out on the record and warning the American public on the record? Did you ask them that? WOODWARD: I knew that people in office, in these sensitive positions were not going to talk on the record. You let people talk on the record, and you get things that are not true. If you use deep background - you're going to use it but not say where it came from - you then are in the position to verify it with others and get a level of truth that's not available on the record unfortunately. GROSS: ...Unless it was anonymous? WOODWARD: There's a lot of conscience and courage in this - people speaking up. And, yes, they're protecting themselves. But, my God, who doesn't try to protect themselves? But they were willing to help me in this process. And I think it illuminates what's going on and not in some kind of abstract way. GROSS: So you write the American public doesn't realize how close we came to war with North Korea and that the president's tweets may have come close to starting a war. The public never learned the full story of the risks that Trump and Kim Jong Un took as they engaged in a public battle of words. What didn't we know? What don't we know? WOODWARD: The big unknown is that Trump proposed a tweet or actually was about to go out saying that we are going to start - U.S. is going to start withdrawing dependents in South Korea. We have 28,000 U.S. troops in South Korea as part of that treaty. And Ri Su Yong, who's probably the most important person in North Korea, told an intermediary who reported on December 4 to H.R. McMaster, the national security adviser, that if this happened, if they started withdrawing dependents, North Korea would look at that as an act - almost an act of war, meaning that war is imminent. And what North Korea had done - they had watched the buildup to the Iraq War and the movement of troops and what was going on and protection of dependents. And it scared them. And the leadership in the Pentagon was profoundly worried, and Trump never sent out that tweet. GROSS: So if Trump had tweeted that the family members of service members serving in South Korea had to leave for their own safety, then North Korea would have interpreted that that war is imminent. And who knows what they would have done in response? So how did people in the Trump administration prevent the president from sending that tweet, or did he just decide not to send it? WOODWARD: I don't know how that happened. I know it was not sent out, and I know that dependents are still being sent to South Korea. GROSS: Another potentially disastrous thing that President Trump almost did regarding North and South Korea was that he wanted to send President Moon, the president of South Korea, a termination letter to destroy the trade agreement between South Korea and the U.S. And apparently Trump did not really understand the importance of the agreement. So why don't you fill us in on the importance? WOODWARD: There is a long section in the book about a meeting in the Tank at the Pentagon, which is the joint chiefs of staff meeting room. And Gary Cohn and Secretary Mattis had a lunch and said, we've got to get Trump over here. We need to educate him on the way there is the interrelationship between the trade agreements, between the security agreements like NATO or the agreement with South Korea and the top secret intelligence partnership. And that's the triad, what Mattis called the great gift of the greatest generation to us - the rules-based international democratic order. This is the old order that Trump inherited. He (laughter) - he has all of these people, including his top officials in the national security field and in the economic and finance world who think that triad is the key to stable order. At the time, Secretary of State Tillerson said this is what's kept the peace for 70 years. And Trump at the meeting totally rejects it and just says, you know, I don't care about all of these things; this is the old way, particularly in South Korea. He says, I don't give a - and very much objects to the 3.5 billion that's spent to keep the U.S. troops there in South Korea. And he says, I don't know why they're there. Let's bring them all home. Well, they're trying to tell him, they're there - in fact, the most efficient, meaningful national security dollars that are spent. That's when Secretary of State Tillerson at the end said after had Trump left that he's an effing moron. GROSS: Yeah, and Trump didn't understand that because we have military operations in South Korea, we can detect a North Korean missile seven seconds after it's sent. And there's no other part of the world where we could detect it that quickly. That's pretty important. WOODWARD: Yeah, it's the essence of national security in fact. And that ability is one of the big secret operations. It's called the Special Access Program. Only a few people know about it. It is one of those ingenious things the intelligence community sometimes does that gives us significant edge. And everyone knew. I mean, President Obama told President Trump when he was coming in - said the situation that's going to keep you awake at night is North Korea. Mattis told the president, this is the greatest threat we face. And because the president's concerned about the cost and also obsessively about the trade deficit to South Korea, he wants to pull everything out. And they are baffled and in absolute sometimes despair about his lack of understanding. WOODWARD: On this matter, yes. And it wasn't they kind of - I mean, they agreed to do this. And it was not only draft statements about South Korea and the trade agreement but draft statements about withdrawing from the North American Free Trade Agreement, which would have been a disaster. And Cohn just took it off the desk. There were drafts of a proposal to get out of the Paris climate accord that were removed from the president's desk also. This was a process of saying, we can't (laughter) let the country be endangered or make these kind of fly-by-night decisions without some sort of let's engage all the Cabinet officers, the agency heads who are involved on these issues and have a debate about it and come up with a policy. And actually there are papers I quote from where General Kelly put out a directive that you had to have a process for any major decision. The president himself would try to subvert this, and on these occasions, those efforts were subverted by his own staff. GROSS: Cohn and Porter are taking these draft treaty withdrawal statements off of the president's desk not - it wasn't a question of, like, well, we disagree with the policy, so we're not going to let you go through with it. It's, like, you don't know what you're doing; you haven't gone through the appropriate process to pull out of a treaty; you don't understand what the consequences are; you don't understand the legal ramifications of it. America hasn't pulled out of a signed treaty before. These were actions that would have had enormous consequence that the president didn't seem to comprehend. WOODWARD: Exactly. I've done books on presidents going back to Nixon, so Trump is my ninth president. So it's 20 percent of the presidents we've had in this country. And I've never heard in any way of staff going around a president this way and taking the paperwork, taking the orders in order to stop the action. And, quite frankly, I was stunned when I first heard about this. GROSS: So who else joined Gary Cohn and Rob Porter in trying to protect the American public from the president, which is kind of how they described it to you? WOODWARD: Secretary of Defense Mattis. When one of these papers is taken from the president's desk, Gary Cohn - again, this has not been reported before. Cohn and Mattis had an alliance. We are going to protect the country. And Cohn said to Mattis, you've got to come talk to the president about this. And so Mattis came into the Oval Office and said to the president, don't withdraw from this trade agreement. It's critical to United States national security. And also part of his argument was, please, please don't do this. And at that point, the president acquiesced. But then this resurfaced again and again. GROSS: Let me reintroduce you here. If you're just joining us, my guest is Bob Woodward, and his new book about President Trump is called "Fear: Trump In The White House." We'll be right back after a very short break. This is FRESH AIR. GROSS: This is FRESH AIR, and if you're just joining us, my guest is Bob Woodward. His new book is "Fear: Trump In The White House." I was surprised at how much of a main character Lindsey Graham is - Senator Lindsey Graham is in your book. And it sounds like he kind of ingratiated his way into President Trump's orbit in part through the use of flattery. Correct me if that's an inappropriate reading. WOODWARD: Yes. Senator Graham is a kind of Greek chorus of one in this book because he does flatter Trump. But he also criticizes him and, on a number of these issues, will just not go along with the president's ideas. At the same time, on national security, Senator Graham, Republican from South Carolina, is very much of a hawk, even more of a hawk than Trump or other advisers in the White House or the national security circle. GROSS: Along those lines, well, one of the pieces of advice that you say Senator Graham gave to Trump is, tell the congressional leadership that I, Trump - that I may have to use force and get Congress to authorize the use of force against North Korea so that Trump would have the authority in his back pocket to use force, which I assume means a nuclear weapon. And Graham says, if you have that in your back pocket, it may prevent you from having to actually use force. I was kind of shocked when I read that 'cause one of people's biggest fears - I mean, those people who are concerned about how President Trump uses his power and who are concerned about his fits of fury and what they lead him to do is the fear that, what if he decides to use a nuclear weapon? Particularly, what if he decides to use it against North Korea - because his tweets have seemed to flirt with that idea, talking about, I have a bigger button than you do. How do you read that suggestion by Lindsey Graham to get Congress to authorize President Trump to use force against North Korea? GROSS: But the president's already saying that. He's already tweeting that. GROSS: Wow, I didn't know that. WOODWARD: From that time - now, I have no - it was clerk's job, but it was a clerk's job on some of the most sensitive material in the U.S. government, perhaps the most sensitive. And as I looked at that and saw - the nuclear war plan was called the SIOP, Single Integrated Operation Plan, at that time - and looked at it, from that point to now at age 75, the horror, the nightmare that, thank God has been avoided - is the use of nuclear weapons and to kind of - just the way it was discussed, the way Secretary Mattis has to tell the president we're spending all his money on forward deployed forces; we're engaged in the world. And the president doesn't like the cost. And Secretary of Defense Mattis says, we're doing this to prevent World War III. GROSS: But, you know, it sounds from your book and from other reporting I've read that what President Trump sees as dollar signs - when something costs a lot, he wants it to cost less. He wants to make a deal financially. That's what he sees. And the consequences of nuclear war maybe he doesn't quite understand. WOODWARD: He is obsessed with the money. At a National Security Council meeting earlier this year, January 19, this whole question comes up about money. And the president says - these are verbatims from a note taker there. Quote, "what do we get by maintaining a massive military presence in the North Korean Peninsula? What do we get from protecting Taiwan, say?" And this is when Mattis finally says, we're doing this in order to prevent World War III. Then the president says, but we're losing so much money in trade with South Korea and China and others. I think we could be so rich if we weren't stupid. We're being played as suckers, especially NATO. GROSS: My guest is Bob Woodward. His new book is called "Fear: Trump In The White House." After a break, we'll talk about Trump and the Mueller investigation. I'm Terry Gross, and this is FRESH AIR. GROSS: This is FRESH AIR. I'm Terry Gross back with Bob Woodward. We're talking about his new book, "Fear: Trump In The White House," based on hundreds of hours of interviews with firsthand participants and witnesses to the events described. They all spoke on deep background, meaning everything said was on the record, but the source of the information would not be revealed. This is Woodward's ninth book about a contemporary presidency. The most famous, "All The President's Men," co-authored with Carl Bernstein, was about Watergate and how they broke the story leading to the resignation of President Nixon. Let's talk about the Mueller investigation and Mueller's interactions with people in the White House. First of all, you write that President Trump erupted into uncontrollable anger when he heard that Mueller was investigating Russia's interference in the election and possible connections between the Trump campaign and that Russian interference. So how did Trump's uncontrollable anger affect his ability to function as president? WOODWARD: Well, I don't know. I can only describe what happened. But when - the day after Mueller was appointed, the president was in the Oval Office. And normally he would sit at the Resolute Desk. But he was on his feet and then running to the television in the dining room, watching all the cable news shows, TiVoing them so he could go back and look and was beside himself because he realized that the Mueller investigation could go on for a long time. They would look at anything in his life, and it was - it became so emotional for him. Rob Porter, the staff secretary, told others - said this was almost Nixonian. It entered the paranoid zone - Nixon in his final days pounding the carpet, talking to the pictures on the wall. And Trump just would not come down from that moment and announced that he was the president of the United States; he could fire anyone; he could do anything - and was very disconcerting to people who witnessed this. GROSS: And you also say that the president - that it - this affected operations, that meetings were canceled. Parts of the day were scrapped because why? WOODWARD: Well, because he was - he realized - and he was right - that once you have a special counsel with this unlimited authority, essentially unlimited time going after you, they're going to look under every rock. And that's exactly what Mueller has done and indicted Paul Manafort, invited - indicted people at all kinds of levels or got guilty pleas and so forth. It is what in the FBI they call the full field. Everything is being looked at. And he realized he'd lost control of the investigation and, in a sense, lost control of some of his presidency. And in fairness to him, once one of these things starts, it's almost impossible to stop. And we saw that in Watergate. We saw that in the Iran-Contra affair for Reagan. We saw it in the Clinton Whitewater, Lewinsky investigation. And, you know, this is part (laughter) of the scandal culture which obviously the president doesn't like, you know? So we're going to see where it goes. But people are kidding themselves if they think it hasn't taken a dramatic emotional toll on the president. GROSS: There were disagreements about how to handle the Mueller investigation between Trump's lawyer - his then-lawyer John Dowd and Don McGahn, who was the White House lawyer. One of the disagreements was over whether to turn over documents to Mueller. McGahn didn't want to, but the personal lawyer, John Dowd, did. John Dowd had a strategy about how to deal with Mueller. Would you describe what that strategy was? WOODWARD: Yes. It's total cooperation. We're going to turn over all the interviews. Everyone in the White House - I think there were 37 people in the Trump campaign or in the White House who testified, who provided information. They gave 1.4 million pages of documents from the campaign to Mueller, 20,000 pages of White House documents. And Dowd's strategy was, the president's done nothing wrong; this doesn't go anywhere. And we're going to get (inaudible) to Mueller. Hopefully then Mueller will close his investigation early. They even, you know, were talking about it - oh, my God, nine, 10, 11 months ago. Interestingly enough, Dowd's conclusion in the end was that Mueller suckered him and the president. He believes - he doesn't know what it is - that the way Mueller behaved, he must have something. I don't know what that is. Dowd didn't know. Of course this is one of the great questions for the country. GROSS: Is that a kind of unprecedented proposal? I was really surprised when I read that. WOODWARD: Well, I've - very unusual, but the idea would be to script it. But then the president would give the answers under oath, and they would sneak Mueller into the White House - this was Dowd's proposal - and go through this script because what Dowd realized was that if Trump were to sit down with Mueller, he would lose it. He would lose control. He would say things that were not true. He would make up things. And the script was some way of controlling it. Not surprisingly, Mueller rejected that idea. But they're still negotiating back and forth. God knows when this is going to end. GROSS: And then John Dowd ends up quitting 'cause Trump insists he can testify, and Dowd says, if you're not going to take my advice, I'm gone. And he quit. WOODWARD: Yes. And there are recounted conversations between Trump and John Dowd when Dowd said, I just can't sit next to you and - as your lawyer and have you answer these questions in a freeform environment. It will not work. I think at one point, Dowd told Mueller that the president is disabled, that he cannot do this directly. They actually roleplayed some of the exchanges for Mueller to show that the president would go ballistic. And so Trump says, you know, I - at one point, I - we can't see the president of the United States taking the Fifth Amendment. And Dowd says, no, well, you know, it won't be like that. And the president finally insists he's going to have to testify. And Dowd says, you know, I just - I cannot ethically and practically and morally sit next to you and have this happen. So I'm quitting. And he quit. GROSS: All right, let's take a short break here. My guest is Bob Woodward, and his new book is "Fear: Trump In The White House." We'll be right back. This is FRESH AIR. GROSS: This is FRESH AIR. And if you're just joining us, my guest is Bob Woodward, and his new book is called "Fear: Trump In The White House." I want to go back to the campaign - the Trump campaign or even preceding the Trump campaign. One of the people who talks him into and encourages him - like, you can do it - you can run - is David Bossie. Bossie is most famous for having been the head of Citizens United. This is the group behind the lawsuit that went to the Supreme Court that ended up in the Citizens United decision that made it possible for corporations to spend unlimited amounts of money in super PACs for campaigns. So in these preliminary discussions with Bossie, he was either clearly - Trump was either clearly lying or profoundly misremembering some things. Do you want to mention a couple of those things? GROSS: And Bossie worked on the campaign too. WOODWARD: Yes - and said, do you think Trump's going to run? And Bannon says no way. I mean, it's out of the question. It is just not going to occur. Look at the life he's got. He's not going to give it up for running for public office this way. GROSS: And then Bossie also says to Trump, 80 percent of the political donations you've given have been to Democrats. And Trump says that's BS. And he's surprised when Bossie tells him, no, there's actually records of that (laughter) because, you know, Trump thinks he could get away with just saying that. And then he's shocked to hear there's records. And a similar thing happens when Trump talks about how he voted in every election. And Bossie points out what? WOODWARD: There are records of that, and you only voted once. And Trump says, oh, well, OK. And, again, you see the seeds of this denial strategy - of never admit. I can just say it's this way, even the way the facts are the opposite. And it's the beginning of this war on truth. It is, oh, there's truth out there. There's records of this. No, I'll just say it. I'll just move on. I'll say it's not true. And now you find with this book he is saying things that are not true. He said, oh, Gary Cohn, the chief economic adviser, never took a document off my desk. If he had, he would have been fired in two seconds. Well, I print in the book, as you may note, a copy of that exact document that was taken off the president's desk. Now, maybe he doesn't like it. But the idea that it didn't happen - it's laid out before the reader, exactly what it was and what the stakes were. And so now we have another chapter in this war on truth. GROSS: Since President Trump is calling you a liar, and he said that you're like a Democratic operative prior to the midterms, in terms of, you know, the level of lying that you're doing, has he threatened to sue you? He's known to sue a lot of people. And he's also said he wants to change the libel laws, so it would be easier to sue the media. So has he threatened? WOODWARD: Not to my knowledge. GROSS: So one of the things that you've reported is - and this isn't in the book. This had happened after the book went to press - that Trump called you after the manuscript had been completed to say he would have talked to you if you wanted to talk. But, like, no one told him that you were interested in talking to you. And you called him out on that and enumerated the people who you'd asked to ask Trump if he would talk to you, including Lindsey Graham and Kellyanne Conway. Did you ask Trump, well, OK, so it didn't work out for the book, but why don't we talk now? WOODWARD: Well, because the book is done. GROSS: Yeah, but you're still a reporter, and you could have had more to put in The Washington Post. GROSS: You're done. You're saying, like, you're done with the story now. WOODWARD: Well, of course I'm done. You've got to figure out - I mean, you know, suppose something comes up on another day that you wish you asked me. No one's going to say well, Terry, why didn't you call Woodward and do an addendum (laughter) to your show? I mean, you have to end things at some point. And quite frankly, I am very comfortable with the process. GROSS: So if we believe Kellyanne Conway and President Trump on this, Kellyanne Conway did not pass on your message to Trump that you wanted to interview him. I'm thinking it's possible that she was protecting the president from talking to you, thinking it could go wrong and really work against him in his presidency in the same way that Trump's lawyer, John Dowd, did not want him to speak to Robert Mueller. WOODWARD: Quite possible, but that's speculation. GROSS: If you're just joining us, my guest is Bob Woodward, and his new book is "Fear: Trump In The White House." We'll be right back after a very short break. This is FRESH AIR. GROSS: This is FRESH AIR. And if you're just joining us, my guest is Bob Woodward, and his new book is called "Fear: Trump In The White House." Let's talk about reporting this story. You've talked about how there were some people you'd call at, like, 11 o'clock at night and say, oh, I happened to be in the neighborhood; I'm four minutes away (laughter). Why don't we talk now? You've said you - sometimes you just show up at someone's door and ask them to talk. What's the difference between doing that kind of thing now that you're famous and now that people know what a good reporter you are and how you get facts compared to when you were reporting on Watergate and basically people didn't know who you were? And so maybe - I don't know whether that made them any more or less comfortable talking to you, so can you compare the difference in people's willingness to talk to you during Watergate and now? WOODWARD: I can't. I mean, you'd have to ask them. But I can talk about the lesson I learned in the Watergate era. Carl Bernstein and I would go and knock on doors and sometimes get cooperation and information from people. And as the years went on, quite frankly, I became lazy. Oh, yes, I'd do interviews, sit - you know, have people over for dinner. I would do - you know, try to dig into things, and I did. But I discovered on this - because as I told President Trump last month - I said to him, you know, I discovered you can't go do interviews in the White House, and you have to go to people's homes. And there's something about somebody's home where they feel more at ease. On the second or third or fourth visit, I - you - I'm always saying, are there any documents or notes that you have? And people initially will say no, and then I'll say, you know, you must have something. And then - I remember one person going upstairs and coming back with two boxes of documents. And I realized that you have to - in the process of building a relationship of trust with sources, you have to go all-in, and you have to kind of - you have to say to them I think indirectly, you're an important part of this story; I take you as seriously as you take yourself; I want to hear what you have. GROSS: So I'm wondering. Did a lot of the people who spoke to you have to sign nondisclosure agreements with President Trump before taking their positions? Does he make Cabinet members and senior officials do that? And are they - and if so, are they afraid that they would get sued if they speak out on the record? WOODWARD: I don't - I never got into the business of nondisclosure agreements. I gave my word I would not identify sources, but I'm going to use the information. GROSS: So you don't know if they signed NDAs or not. WOODWARD: I don't. I mean, that is - too many people were willing to cooperate in a significant way. And so whether there was some sort of agreement they signed or not, I don't know. GROSS: So were you expecting that people who you quote in your book would then deny it as James Mattis and John Kelly have done? WOODWARD: Yeah. But look; as I was saying, some of the things Mattis said - I've talked to one of the greatest reporters in Washington who covers these matters and said he's heard the same thing from Mattis off the record. Look; Mattis has to survive. He's in a difficult position. But I - as I said, nothing's off the record. And in the first days after parts of the book came out last week, one key person in office now called me up and said, everyone knows what you've written is true. Quote, "it's 1,000 percent correct." WOODWARD: Because that's somebody who knows that I worked hard on this and tried to dig in and excavate what the reality was. GROSS: So in reading between the lines like some people are saying - well, sure, like, Mattis and Kelly are denying, like, one word or one sentence that they said or a fragment of a sentence. But they're not denying the larger story that you're telling that they're involved in. WOODWARD: They are not. But look; they have First Amendment rights also. And they're in a position, and I - you know, they should say whatever they want to say. I have no objection to that even if it's a kind of politically calculated survival denial. GROSS: Bob Woodward, thank you so much for joining us. GROSS: Bob Woodward's new book is called "Fear: Trump In The White House." Our interview was recorded yesterday. Tomorrow on FRESH AIR, my guest will be Claire Tomalin. She's best known for her biographies of Dickens and Mary Wollstonecraft, but now she's written a memoir. It's about her family, her career and grief. CLAIRE TOMALIN: Writing about myself has not been easy. I have tried to be as truthful as possible, which has meant moving between the trivial and the tragic. GROSS: I hope you'll join us. FRESH AIR's executive producer is Danny Miller. Our senior producer is Roberta Shorrock. 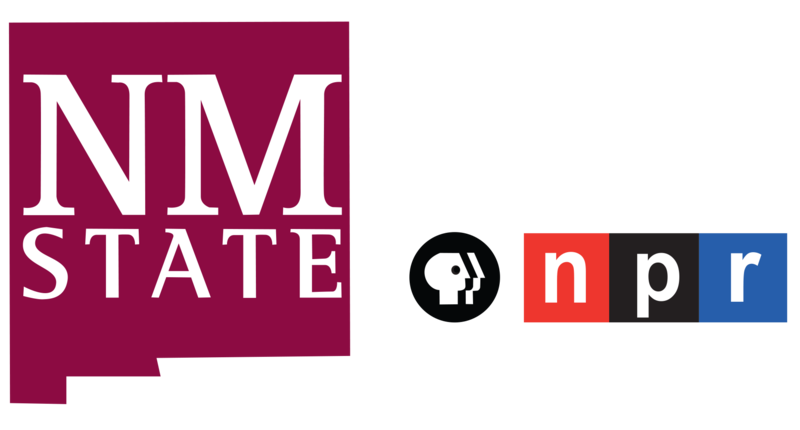 Our interviews and reviews are produced and edited by Amy Salit, Phyllis Myers, Sam Briger, Lauren Krenzel, Heidi Saman, Mooj Zadie Thea Chaloner, and Seth Kelley. Therese Madden directed today's show. I'm Terry Gross. On this 17th anniversary of 9/11, we'll close with Charlie Haden's beautiful rendition of "America The Beautiful." (SOUNDBITE OF CHARLIE HADEN'S "AMERICA THE BEAUTIFUL") Transcript provided by NPR, Copyright NPR.